Whether you call it a tank, cage, or terrarium, your bearded dragon's habitat you create will be his or her home for the next several years. In order to have a healthy and happy bearded dragon you will need to make sure that their habitat suits their needs. This page will go over everything you need to know to make sure your tank is perfect for your bearded dragon. Glass aquariums are probably the most popular type of enclosure for bearded dragons. These inexpensive tanks can be purchased at any local pet store and can sometimes even be found for free. 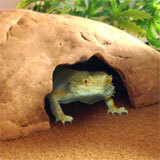 These are great enclosures for bearded dragons and other reptiles. The only problems with glass tanks is that they can be heavy (so once your tank is setup, you probably won't move it) and the glass doesn't hold in the heat as well as other materials. This is fine for bearded dragons, however, many owners say that glass tanks lack of insulation causes their dragon's color to seem a little dull. So if you have a colorful bearded dragon you may want to get a different type of tank. Melamine cages are made out of melamine board (wood), which can be purchased at your local hardware store. You can build these tanks yourself or you can buy them offline. Bearded dragons love these cages and look amazing in them, since the white boards reflect extra light which makes your dragon happier. The only drawbacks to melamine cages are they are fairly expensive and they are extremely heavy. PVC cages look and work exactly like melamine cages, except they are made of PVC plastic which makes them much lighter so they can be moved. They are more expensive than melamine cages, but generally have a better look since the plastic is smooth and attractive. ABS plastic cages look and work exactly like PVC and Vision cages, except they are made of ABS plastic. ABS plastic is very lightweight and sturdy, making reptile cages movable and stackable. 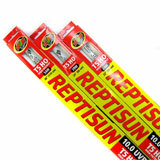 Also many reptile enthusiasts claim that ABS cages don't produce the plastic odor that other reptile cages have. We recommend NPI Cages for ABS reptile cages. Vision cages are professional cages made from one molded piece of plastic. 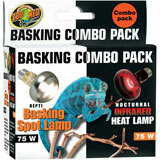 They are chemical resistant and easy to clean and have heat lamp shrouds built in directly. They are expensive, but many bearded dragon breeders will use these cages since you can stack them on top of each other to save space. You need to have a lid/cover for your bearded dragon tank to prevent your beardie from escaping (some bearded dragons can be very skilled escape artists). 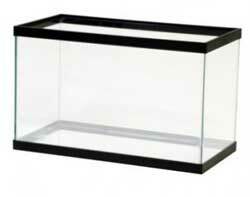 You will want to avoid glass, plastic, or any other type of solid tank-lids that can restrict air flow. Since bearded dragons are from dry desert regions, they need to have a low humidity environment. Plastic and glass lids will cause the humidity within your bearded dragon's tank to increase to unhealthy levels. The best way to keep the humidity low (with fresh air circulation) and to prevent your bearded dragon from escaping is by using a screen lid cover for the tank. Good screen covers are strong enough to support the weight of your lights and can easily withstand the heat from any heat lamps. Baby Dragons - Baby dragons need a 20 gallon tank. This gives them space and makes it easier for them to catch their food. 10-16 Inch Dragons - Early adult dragons need at least a 40 gallon tank. However, the larger the tank the happier your dragon will be and the larger they will grow. 16-20 Inch Dragons - Larger dragons will need larger tanks and it's recommended to have at least a 50-75 gallon tank for dragons of this size. 20+ Inch Dragons - If you have a bearded dragon that is 20 inches or longer you will need a minimum of a 75 gallon tank, but a 120 gallon tank would be ideal. Don't Know How Many Gallons Your Tank Is? For those of you who have purchased a custom tank or have forgotten exactly how many gallons the tank/cage you're using is, we have developed a simple calculator below that tells you precisely how many gallons your tank is. Simply enter your tank's dimensions (in inches only) and the calculator will tell you exactly how many gallons your bearded dragon's tank is. The brighter your tank, the happier your bearded dragon will be. Remember, bearded dragons come from the deserts of Australia so they require full spectrum lighting for 12-14 hours each day. Full spectrum lights are different from what we have in our houses and emit light in all the UV ranges (which is what bearded dragons need to remain healthy) and the light needs to be evenly spread throughout the tank. There also needs to be a way that your dragon can come within 6-8 inches of the light source. This means that you need to have either a branch, rock, or platform that your beardie can lie on which is close to the light. This is the light that will illuminate your bearded dragon's tank and it needs to mimic natural sunlight so it needs to be full spectrum (UVA & UVB). Ideally this bulb will span most the distance above your tank from one side to the other to help illuminate your entire tank. Remember, you will also need to fit a basking/heating bulb in your tank, so make sure you leave enough space for both. This bulb's purpose is not to generate heat, but is instead to provide your dragon with UVA and UVB rays to help keep them healthy. You will need daily UVA/UVB light to prevent metabolic bone disease in bearded dragons Learn more about metabolic bone disease in bearded dragons. and to keep your dragon healthy. Remember, that over time the UVA/UVB bulbs lose their strength, so you will need to change them every 6 months (even if they seem to still be working). The basking light is very important as it is the light that provides heat to your bearded dragon. If you stick to name brand reptile lights, you should not need to worry about anything else, but if you decide to get lights at a local hardware store you need to make sure it is a bright white light because bearded dragons do not do well in other types of light. Remember, the basking light will take up space on top of your bearded dragon's tank, so if your fluorescent bulb is very large, you may need to reorganize things to get it all to fit. Bearded dragons are from a desert-like environment, so their tanks need to be heated. Generally a tank should have a hot side where the temperature is anywhere from 95 F° to 110 F° and a cool side where the temperature is around 85 F°. Because of this it is recommended that you have two thermometers (one for the hot side and one for the cool side). During nighttime hours the temperature of the tank can fall as low as 65 F°, however, it's recommended to keep the temperature around 70 F° to 75 F°. If you cannot keep your tank this warm during the night, you will probably need to invest in an under tank heater (UTH). You will need an accurate thermometer so you can make sure the temperature within your bearded dragon's tank are ideal. For larger tanks you will need a thermometer for the hot and cold sides of your tank. Smaller tanks can generally be ok with one thermometer. 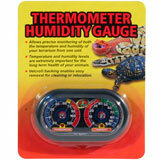 Besides a thermometer, you will also need a humidity gauge. Bearded dragons are desert reptiles so they need a low humidity environment to stay healthy and happy. 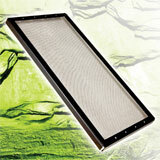 Usually as long as your beardies tank has a screen top, the airflow will keep humidity from getting too high. You will also need to get flooring for your dragon's tank. The type of flooring you use really depends on the age of your dragon. Since younger dragons will need to eat more insects than older dragons, you will need to be more careful about the flooring you use because the chances are a young beardie will eat a bit of it when he/she is catching their prey. Don't use anything that's lose such as wood chips, sand, etc. You would be amazed at how much bearded dragons love hammocks. You can buy special hammocks just for bearded dragons with suction cups and hooks at the ends so you can easily stick them in your tank. Branches - Nearly all bearded dragons love climbing, so try to have at least one branch that they can climb on. It would be even better if their branch got them closer to their basking light. If you get a real branch, make sure it doesn't have small holes in it that crickets or other insects could hide in. It's very important that you have what's called a "hide" for your bearded dragon. This should be an enclosed area where your dragon can hide from the light as well as from people looking at him/her. These are also important for bearded dragon brumation Learn more about the bearded dragon's brumation cycle., which is when your beardie will being to sleep heavily for weeks. Since beardies love to climb, placing his/her hide beneath the basking light will not only warm their hide, but can also cause their hide to be a basking platform as well. Basking Platforms - These platforms allow your bearded dragon to get closer to the light so they can more easily warm their bodies. They can be as simple as a rock or they can be as elaborate as you want. Just make sure they are within 6-8 inches of the basking light so your dragon can feel the warmth. If you have a glass tank, you will need to get a background for the back of the tank. This will not only make your tank look more impressive, but it also helps make your bearded dragon feel more secure. Find out where to get a bearded dragon and how to make sure the one you get is health.